Almaviva was established in 1996 by Baron Philippe de Rothschild of Château Mouton-Rothschild and Concha y Toro. 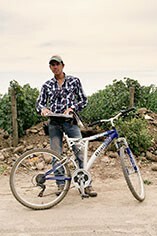 Their aim was to create the first Bordeaux Grand Cru Classé equivalent in Chile. With 40 hectares of Concha y Toro's best Puente Alto vineyards being dedicated to the task and the steady hand of Patrick Leon (winemaker at Mouton and Opus One), the results have been nothing short of spectacular. Located in the Maipo Valley, in Chile's central zone, Puente Alto was recognized over twenty years ago as offering ideal conditions for growing the Cabernet Sauvignon grape. It is here that 85 hectares have been reserved exclusively for Almaviva. Characteristic features of Puente Alto include its stony soil, cold, rainy winters, and the hot days and cool nights of its summers. The Almaviva vineyard is tended with meticulous care from pruning to harvest. A revolutionary underground drip irrigation system has been installed, making it possible to deliver the precise amount of water that each vine needs with a constant concern for quality. The 2016 harvest was complicated by rain in late April, which made them hurry up and finish two weeks earlier than normal. 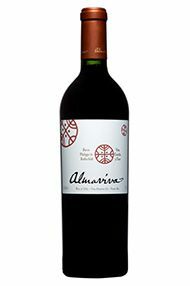 The year was also cooler, and the 2016 Almaviva, a blend of 66% Cabernet Sauvignon, 24% Carmenère, 8% Cabernet Franc and 2% Petit Verdot has less alcohol at 13.9% compared to 15% in 2014. The élevage was shortened to 16 months, and they decreased the percentage of new French barrels used—down to 77% from the 82% in the previous year. The wine is fresher and less marked by the oak, a more fluid version, with fine tannins. This is a little different, a lighter and fresher year. It was a very dry winter, complicated by rains. I found very good harmony and fine tannins, balance and freshness in one of the most elegant vintages I remember from Almaviva. This has contained power, very accessible tannins and no green notes at all. It's young but accessible and should develop nicely in bottle, as it has the balance and freshness. 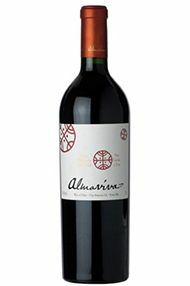 This is an elegant and fresh vintage for Almaviva, young and tender, taking advantage of the natural conditions for it. Well done! 180,000 bottles produced. It was bottled in December 2017.